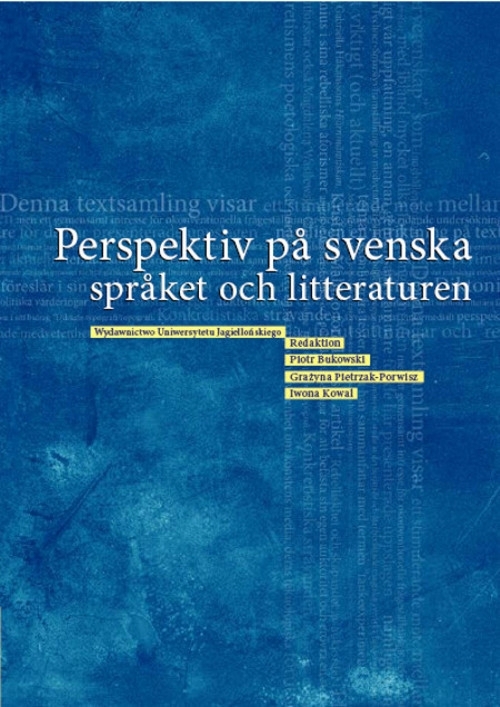 The volume Perspektiv pa svenska spraket och litteraturen consists of fifteen articles based on papers by international scholars given at Swedish language and literature sessions, as part of the II. Internationaler Kongress der Krakauer Germanistik, held at the Jagiellonian University in October 2007. The authors of the contributions to this volume have different theoretical backgrounds and represent various disciplines. The articles thus address a wide range of topics related to Swedish studies, often in an interdisciplinary framework, and they have been structured around three sections. Part 1 deals with Swedish literature and culture, part 2 investigates topics connected to translation, and part 3 contains a number of studies on selected aspects of Swedish language.